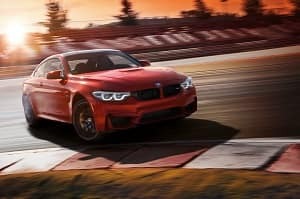 View New BMW 4 Series InventoryThe 2018 BMW 430i is a sleek and stylish coupe that delivers an elegant refinement, a comfortable interior, and a remarkable performance. If you’re currently going through the motions of deciding on your next luxury coupe, the BMW 430i probably ranks pretty high on your list. To help drivers like you in West Chester County, White Plains, and New Rochelle, our team at BMW of West Chester is going to explore this stylish coupe to highlight some of its impressive features and abilities. In our 2018 BMW 430i review, we’ll take a closer look at this vehicle’s engine specs and performance abilities, interior style and comfort, and the media and technology features. By learning about this sedan and getting a sense of what it offers, you’ll be able to figure out if it’s the right choice for you. Let’s begin by exploring the impressive power and performance. The BMW 430i is equipped with the 2.0L BMW TwinTurbo 4-cylinder engine that’s capable of delivering 248 horsepower and 258 lb-ft of torque. This engine allows the vehicle to hit a top speed of 130 MPH while going from 0-60 MPH in only 5.5 seconds. The engine comes paired with the 8-speed Sport Automatic transmission with automatic Sport and Manual shift modes. The High-Precision Direct Injection allows the BMW 430i to perform at its highest output while getting the most out of its fuel consumption without wasting a drop. The cabin of the 430i coupe features SensaTec upholstery. This synthetic leather provides exceptional comfort and is easy to clean. The cabin features the Fineline Anthracite Wood trim with Pearl Gloss Chrome highlight to provide a sophisticated interior style. The vehicle features a 2-way power glass moonroof that’s easily accessible for when the weather is particularly nice and you want to let in some fresh air and sunlight. The driver’s seat features a 10-way power adjustable seat, which includes adjustable side bolsters. This seat also includes the driver memory system that will memorize your preferred seating and mirror positions which can be easily adjusted with the press of a button if you share driving duties with a driver with different seating and mirror positions. Sitting in the center of the dashboard is the iDrive 6.5-inch screen that’s used to make media selections from the HD Radio™, or the CD/MP3 player. The BMW 430i also features pre-wiring for SiriusXM®, so you can include this service in your vehicle if you’re a subscriber. The steering wheel features mounted controls that allow for volume adjustment, skip/scan, and even activation for the hands-free Bluetooth® system. Did our 2018 BMW 430i review give you the details that you were looking for? At BMW of West Chester, we’d be more than happy to help you learn even more about this stylish luxury coupe. You can certainly benefit from taking a test drive in this vehicle to get a feel for it and to see how it handles on the open road. Schedule a test drive at BMW of West Chester. We’re proud to help drivers in West Chester County, White Plains, and New Rochelle when it’s time to choose the right luxury car. This BK SAPPHIRE 2018 BMW 4 Series 440i xDrive might be just the coupe awd for you. It has a 6 Cylinder engine. We're offering a great deal on this one at $60,010. A charming bk sapphire exterior and a swp-fr-cape cod interior are just what you need in your next ride. This is the vehicle you have been waiting for! Call now to schedule a test drive! Ray Catena BMW, a top BMW dealer in New York, is known throughout White Plains, Tarrytown, and Yonkers for our wide selection of luxurious new and pre-owned BMW vehicles and uncompromising customer service. BMW of Westchester truly has every one of your automotive needs covered. 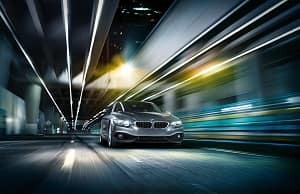 FROM NEW AND USED SALES TO PARTS AND SERVICE, BMW OF WESTCHESTER AIMS TO PROVIDE A TRULY STELLAR AUTOMOTIVE EXPERIENCE. The only question left now is how we can best serve you. 914-761-6666 - www.westchesterbmw.com. This BK SAPPHIRE 2018 BMW 4 Series 440i xDrive might be just the coupe awd for you. It has a 6 Cylinder engine. This one's on the market for $62,085. A timeless bk sapphire exterior and a cognac dakota lthr interior are just what you need in your next ride. Interested? Call today and take it for a spin! Ray Catena BMW, a top BMW dealer in New York, is known throughout White Plains, Tarrytown, and Yonkers for our wide selection of luxurious new and pre-owned BMW vehicles and uncompromising customer service. BMW of Westchester truly has every one of your automotive needs covered. FROM NEW AND USED SALES TO PARTS AND SERVICE, BMW OF WESTCHESTER AIMS TO PROVIDE A TRULY STELLAR AUTOMOTIVE EXPERIENCE. The only question left now is how we can best serve you. 914-761-6666 - www.westchesterbmw.com.